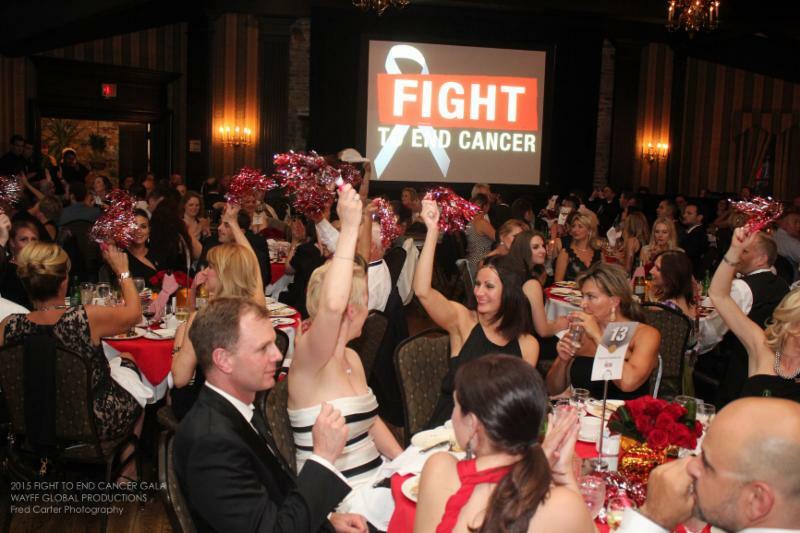 Fight to End Cancer | FIGHT TO END CANCER’S BIGGEST YEAR-TO-DATE MAKES IT A KNOCKOUT SUCCESS! FIGHT TO END CANCER'S BIGGEST YEAR-TO-DATE MAKES IT A KNOCKOUT SUCCESS! 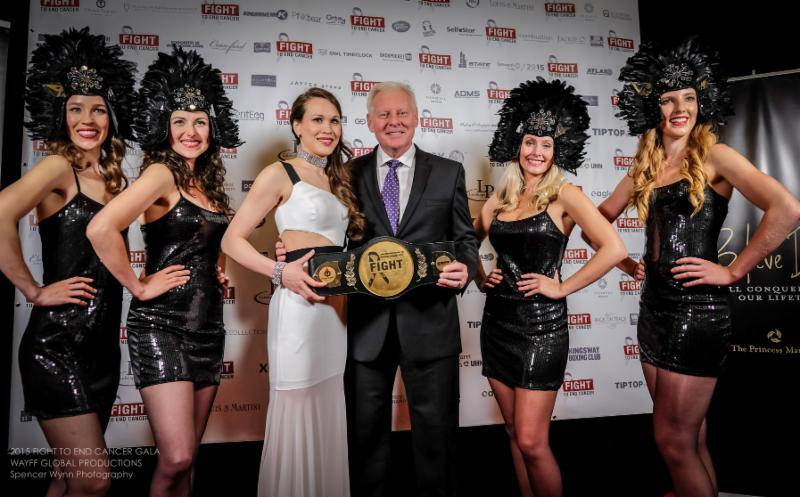 Thursday June 4, 2015 -TORONTO, ON – The 4th Annual Fight To End Cancer‘s (FTEC) black tie gala was the biggest and most successful year ever! 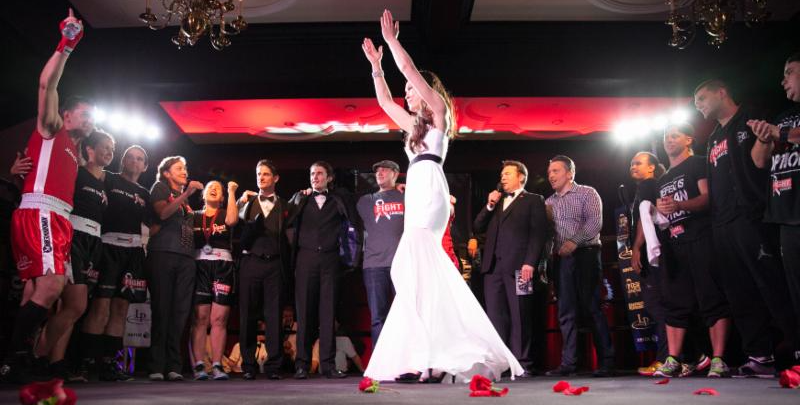 The sold out event hosted at the historic Old Mill Inn, in Toronto’s west end, brought together some of the city’s top executives and influencers, who cheered on our 2015 Fight Team. 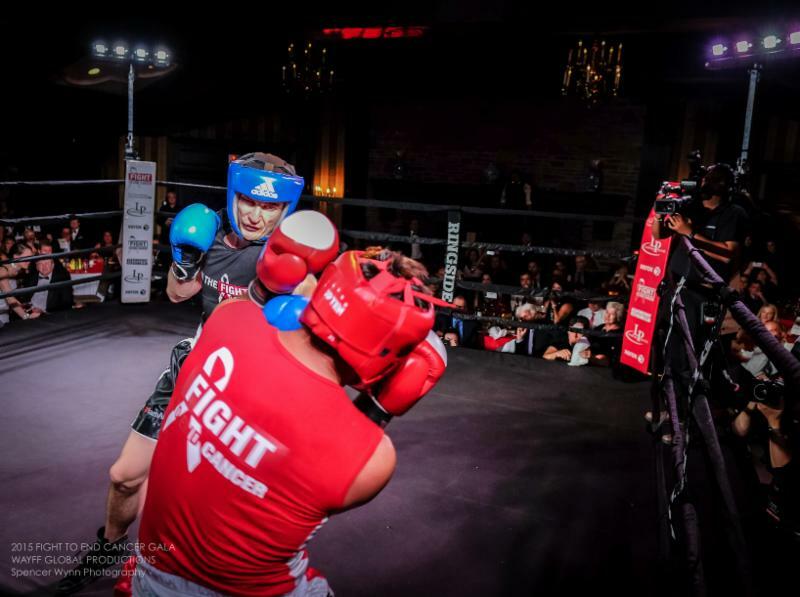 These 10 brave, men and women with no previous boxing experience, stepped into the ring to literally fight to end cancer – all in support of the Princess Margaret Cancer Foundation. One of the most exciting bouts of the night was showcased by Erica McMaster who faced Paige Cunningham (our first-ever fighter who works directly for the Hospital’s Foundation). Mark Muia (red trunks) versus Robert Doherty (black trunks) – Opening fight of the night, showcased boxing skills that even ‘wowed’ the judges. Over 600 guests packed into the Old Mill Inn filling the venue with energy that could be felt across Toronto. 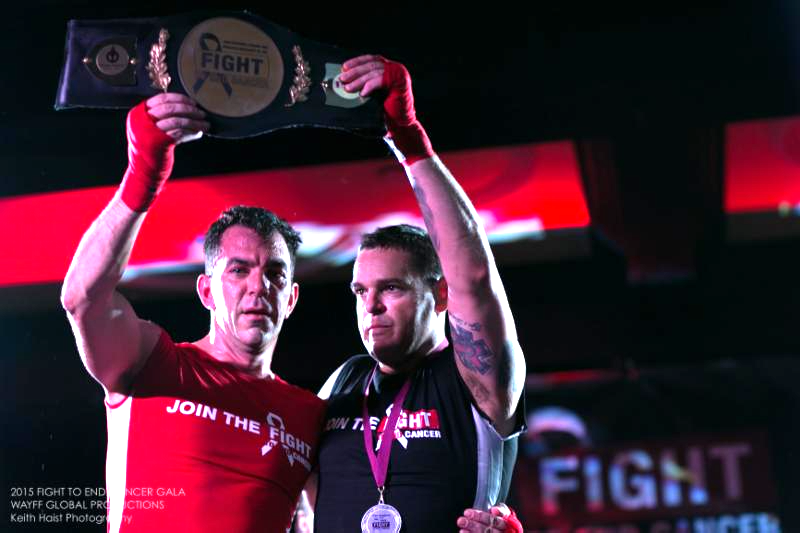 Sean Donovan, FTEC2015 Main Event Champ, sharing the belt with his opponent, Jason Brydges – Donovan broke records this year by raising over $40,000.00 individually for the Fight To End Cancer. Jennifer Huggins, Founder of the Fight To End Cancer with Paul Alofs, CEO and President of the Princess Margaret Cancer Foundation, celebrating the passion they both share in with their mission of Ending Cancer In Our Lifetime. Five sanctioned Olympic-Style Boxing matches (three male bouts, two female bouts) were the perfect celebration for the commitment and hard work of the 2015 fighters. After six months of intense training and fundraising; all 10 fighters are true champions. An astounding $120,000.00 was raised within their personal networks. Coupled with the night’s additional fundraising efforts at the gala, over $165,000.00 will be directly donated to the Princess Margaret in 2015! After four incredible years of fundraising efforts, the Fight To End Cancer has now successfully raised nearly $400,000.00 in direct donations to the hospital’s foundation, since its inception. The opportunity to donate to our 2015 fighters has not passed yet! There is still time for you to make a last-minute donation to your favourite fighter, as we will be collecting donations for 2015’s event up until Friday, June 12th. With next year’s event date set for Saturday June 4, 2016; there is already an incredibly strong amount of interest from corporate executives looking to join our 2016 Fight Team. With companies approaching us to come on board as sponsors for next year and beyond; it appears as though Fight To End Cancer will be gearing up for even greater future success! No one is alone in the battle against cancer and we want to spread this message worldwide. We can all take part in the Fight To End Cancer! The entire FTEC2015 Fight Team, centre ring, for a team celebration of a job well done – a perfect finale for a successful event by all. You are not in this alone! This is how Kingsway Boxing feels about the battle against cancer. The Fight To End Cancer Fight Team proves to those who are fighting, have fought or have been in some way affected by cancer, that they are not fighting alone!